After the initial collapse on Wednesday evening, the floor started to cave in other parts of the room, and the stench of sewage crept into the clinic, which is in Vaxjo, a city in south central Sweden. The group is looking for an alternate location for future meetings, Weight Watchers consultant Therese Levin told the Swedish paper. Since they were able to break the floor badly enough to stir up some sewage, I’m guessing these people were 1) brand-new members of Weight Watchers or 2) long-time members of Weight Watchers. I’ve known a handful of people who joined Weight Watchers at least once — all women, by the way. They all lost some weight. And they all gained it back, usually with a few extra pounds as a going-away present. Given what Weight Watchers believes constitutes a good diet, I’m not surprised. Their entire program is based on the belief that the federal government’s nutrition guidelines are actually based on something resembling science. So Weight Watchers preaches the same guidelines: fat is bad, a bit of protein is okay, and carbohydrates are wonderful. I never joined Weight Watchers, but before I knew better, I did try living on their low-fat Smart Ones meals (along with Lean Cuisines and other diet meals I could nuke.) By the end of the day, I’d be famished. Eventually I’d give up and then, like most dieters, blame myself for not having any discipline. Now I understand the problem wasn’t a lack of discipline; it was a lack of good nutrition. As a percent of total calories, it works out to 20% fat, 18% protein, and 62% carbohydrates — just what the FDA prescribes. It’s also a prescription for hunger. 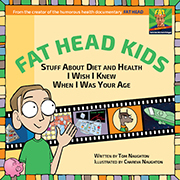 If you’re a regular reader or have seen Fat Head, you already know that fat is the most satiating macronutrient … in addition to being cricual for mood, hormone formation, vitamin absorption, etc. I won’t go into the many wonders of fat here, except to say that this diet contains far too little of it. That’s one reason I was so hungry. The diet is also too low in protein. The FDA would approve, but not the people who actually know what they’re talking about, like Drs. Mike and Mary Dan Eades. According to their calculations, I need more like 120 grams of protein per day. Eating too little protein produces exactly the kind of physical effects dieters don’t want. Nutritional ecologist Professor David Raubenheimer’s just-published collaborative study with international colleagues found the Bolivian rainforest spider monkey regulates protein intake by eating greater quantities of low protein/high carbohydrate foods when protein-rich foods are not available. “This is interesting because our experiments show that humans do the same,” says Professor Raubenheimer from the University’s Institute of Natural Sciences at Albany. The consequence is the current obesity epidemic. Professor Raubenheimer has been involved in a range of similar studies on other primates, as well as human subjects in Australia, the Philippines and Jamaica, to observe how the protein content of their diets influences energy intake. The findings, published in the latest issue of the journal Behavioural Ecology, reinforce the theory that humans and other primates are physiologically predisposed to maintain a constant level of protein in their diets. But when the range of foods available to them is low in protein (yet high in fats and carbohydrates) they are compelled to eat greater quantities in order to maintain correct protein levels. Trust me, I definitely felt compelled to eat greater quantities. I just didn’t allow myself to, at least until I couldn’t stand it anymore. On typical low-calorie, high-carbohydrate, low-fat diets, protein intake is often marginal, and as a result as much as 50 percent of weight loss can be muscle weight. Each pound of active muscle mass lost reduces your rate of metabolism. Now, a pound of muscle loss isn’t going to dramatically affect your metabolism, but I don’t think most people — especially men — go on a diet hoping to shed a few pounds off their biceps and pecs. Muscle makes a body look good, whether the body is male or female. The biggest problem with the diet is, of course, the 62% carbohydrates. If you’re insulin resistant — and most fat people these days are — all those carbs are going to drive up your insulin and tell your body to store a disproportionate share of the 1673 calories as fat. Then you’ll starve at the cellular level and really feel hungry. Keep it up, and you’ll probably make your insulin resistance worse. The key to the paradox of the obese-yet weak client was insulin sensitivity. The modern Western diet is very high in refined carbohydrates when compared to the diet in our evolutionary past. In the face of very high carbohydrate intake, one’s glycogen stores will become completely full. Once the glycogen stores are completely full, glucose will begin to stack up in the blood stream. The evolutionary-based response is to increase insulin to drive more glycogen storage. However, pushing more glucose into a cell whose glycogen stores are full can be very damaging. In the chronically overfed state, the body protects itself by decreasing the sensitivity of insulin receptors on the muscle cells and preserving (actually increasing) insulin sensitivity on the fat cells. By this mechanism blood sugar can be held in check without making the interior of the cells a syrupy mess, and energy is stored for future starvation (which never comes). The problem is, insulin not only controls glucose homeostasis, it is a major hormone for nutrient storage and all of the anabolic processes of the body. In the state we describe above, a vicious form of nutrient partitioning begins to occur. Nutrients used for growth and differentiation are shunted away from the muscle and the liver and are diverted to body fat. The muscles become smaller and weaker and the liver becomes infiltrated with fat as it desperately tries to produce VLDL. Not a pretty picture, is it? I know, because by the time I was 14, I was a fat kid with skinny muscles. I finally started reshaping my body a bit when my older brother bought some barbells and more or less insisted we work out together. Our high-school health teacher also us to cut back on sugar, potatoes and bread if we wanted to lose weight, so I did. Then the low-fat diet craze hit, and I got stupid all over again. Now I’m at least smart enough to know that Smart Ones aren’t going to help most people lose weight and keep it off, and neither will Weight Watchers. They claim a success rate of nearly 50%, based on a study they funded. But it’s interesting how they came up with that figure. First off, the study only included people who were already lifetime members. To become a lifetime member, you have to reach your goal weight and stay there for six weeks. That means all the people who yelled “I’m starving!” and quit after a month or so were excluded … as were all the people who stuck it out but didn’t reach their goal weight. After five years, most of the lifetime members included in the study had regained at least half of what they lost — but Weight Watchers defined “success” as weighing 5% less than when they first joined. So if you started at 200 pounds, reached your goal weight of 170, and went back up to 190, you were counted as successful. Wow. Sounds like “budget-cutting” in Washington. A blogger analyzed the study, crunched his own numbers based on Weight Watchers’ enrollment figures, and calculated something closer to 6% of all members ever reaching their goal weight and staying there for six weeks … and when he crunched them again, counting only people who stayed at their goal weight for five years, he calculated a success rate of about two in a thousand. I’d say the best thing Weight Watchers could do is reinforce their floors. LMAO! That is F*ing hilarious. You can’t make up stuff like that. Are they sure the sewage smell wasn’t one of them bigguns sh*tting their pants? I hadn’t thought of that. Pretty reasonable reaction when the floor under you gives way. Well done. My favorite line: “Eating is not inherently harmful or sinister.” I’m afraid programs like Weight Watchers view appetite as the enemy, instead of as a healthy signal that you need some fuel. I did Weight Watchers back in the 70’s, and it was actually very effective for me back then. I lost substantial weight, wasn’t particularly hungry, and I kept it off for several years. But two things have changed since then. 1) I got older (only one alternative that I know of to that), and 2) WW went from (relatively) low-carb to low-fat. Yes, back in the 70’s, Weight Watchers was low-carb. I think I still have some old WW books which have guidelines like “if sugar is in the first 3 ingredients, or more than 2 of the first 5 ingredients, don’t buy it”. Things like bread and potatoes were strictly limited, and could be optionally left out entirely. They didn’t even mention anything about the skin on poultry; it was a normal part of what you ate. I recall one instructor who claimed that the more times you made fish the main part of a meal each week, the faster you would lose weight. It’s all different now. And WW is no longer even reasonably effective, or particularly healthy. At least not as of about 10 years ago, when I went on low-carb a la Atkins, Eades, Bernstein, and Schwarzbein. I haven’t kept track of what WW has done since then, except to see some of the WW-labeled items in the grocery store, and note that the ingredient list would not fit into what I consider a good diet — or even what WW considered a good diet 35 years ago. I didn’t know they ever pushed a lower-carb diet. That was back before I knew anyone who tried Weight Watchers. I guess they got snookered by the low-fat theory, along with the rest of us. Ah, Weight Watchers, a diet I love to hate. I was introduced to WW when I was 11 years old (and actually, the plan wasn’t as abhorable then as it is now). In the last 10 years when I’ve tried WW I’ve been non-stop hungry. The other frustration, besides gnawing hunger, is the cultish mindset of many of its devotees who chant “points, points, points” throughout the day (there’s a few in my office, and a good friend). That constant cycle of strict adherence, then falling off the wagon, followed by self-flaggelation is not at all missed. So glad to be in low carb land. I wouldn’t like being a slave to those points, and having to go to bed hungry if I’d used them up … even if the plan worked. Nobody I know who’s tried it has kept the weight off, either. My mother is a WeightWatchers success story. She lost about 30lbs three years ago and has kept it off, but to this day refuses to go outside her points. It drives me crazy. She refuses to listen to me about protein/fat intake and anytime I mention eating butter, red meat, coconut oil, etc., she goes ballistic. I’ll keep trying, but she is convince of the “fats make you fat, carbs keep you thin” myth. Oh well, at least my girlfriend has come around to the believing that low fat/high carb being healthy is a total myth and that protein and fat are good for us. I’m glad to hear she’s kept it off, but I wonder if she’s making it harder on herself than it needs to be. Another thing I think people fail to remember is that Weight Watchers is also a publicly traded company, so really, they have the interest of their shareholder’s at heart, not the millions of people going to them to lose weight. That’s why they push their products so much too. And also, no one bothers to think that if Weight Watchers was actually successful, then they wouldn’t make nearly as much money! As you eloquently said, people just blame themselves instead of Weight Watchers, which is just sad. They do seem to focus on selling their packaged meals these days. You made an interesting comment about protein consumption. I don’t think it is entirely true. Maybe in the absence of high fat foods we would eat to some limit for protein. But we really don’t need protein for energy. Just enough for muscle maintenance and repair mainly. I eat about 80% animal fat and 20% protein with a few carbs from leafy vegetables. This adds up to about 55~60g of protein per day. I’m never hungry and I have plenty of lean muscle mass. 5’11” 185lb, 33″ waist at the navel. Pinch gauge says 11% BF but I don’t know accuracy. Probably a good study would be to include pure fat or very fatty foods in the type of study you mentioned and see what the result would be. I don’t believe protein is necessary as an energy source, except in the absence of carbohydrates, when it’s needed to produce glucose for the cells that require glucose. But I don’t feel strong and energetic on 60 grams per day. Your mileage may vary, as they say, but I can feel the difference when I consume something more in the area of 100-120 grams. Yup, WW used to be a controlled carbohydrate diet. I lost a lot of weight on WW in 1990, right before they went to this absurd “points” system, and kept it off for many years. But you know the drill – my lifestyle became more sedentary as I moved from a blue-collar job that kept me on my feet all day to a white-collar job that pays much better but requires that I sit all day. I also am 47 now, instead of 27, my metabolism is about as active as a comatose slug and I’ve entered the Hell known perimenopause. Have I gained it all back, plus about 10 more? Oh, yes, indeedy. I’ve been flirting with a lowcarb lifestyle for a few years now, and I’ve got to tell you that when I stick with it, I feel SOOOOO much better. I have a hard time sticking with it, though. Why? Well, I could give you all sorts of excuses – I’m a foodie and love to cook and bake, my husband can’t live without his “snacks” and the one remaining child at home is the pickiest eater on the planet who would live off of pizza and pasta if I’d consent to it. I could tell you that, but the truth of the matter is that I don’t want to/can’t seem to give up the carbs. Until yesterday. This whole post of yours really is one of those wonderful coincidences, because I decided to join WW again, which I did this Monday. I decided that I could do it without eating any grains or potatoes (which are my biggest downfall) and very little sugar. Now, they have this formula that you can use to help you figure out points and all but basically a point is 50 calories. Except for meat, where as far as I can see is 1.5 points for 50 calories of very lean meats and as many as 3 for 50 calories of fatty meats (I found this out by inputting a recipe into MasterCook to find out the calories, fat and fiber counts – the only thing WW cares about) and the recipe was four points per serving (this was using a very lean pork loin and spices only). When I input the same recipe into the WW online “recipe builder” the points value was five per serving. Also, they had allotted me 30 points per day, which is 1,500 calories if you figure 50 points per serving. WRONG – I figured up a days worth of food at exactly 50 points and input it into FitDay and it was barely 1,300 calories, because of their bias against protein and fat. To make a long story a tiny bit shorter, by Wednesday evening I was RAVENOUS, and yesterday morning I woke up dizzy, light-headed and pretty much feeling like doo-doo. Eating a WW-approved breakfast didn’t help any at all, so I broke down and by 10 a.m. was eating hard-boiled eggs, cheese and handfuls of raw pecans (which I love). I began to feel better, so I cooked a large patty of ground chuck (20% fat) and felt even better. For dinner, I had a steak and salad with cheese and tomatoes and a good, full-fat dressing. I was pretty much back on an even keel by then – thank goodness. The WW site is full of BS propaganda – on their “diet myths” page, while they admit that yes, you need some fat (their idea of “some fat” is 3 teaspoons of “essential oils” a day), they also say that “Sugar doesn’t make you fat!” Considering all of the sugar and HFCS they pump into their commercial products (which I wouldn’t touch with a ten-foot pole, even doing WW, because they taste like doo-doo) that’s not surprising. Oh, and their “filling foods”? Are anything but. I guess it’s back to Protein Power for me. Let’s hope I can stay away from the grains, potatoes and sugar long enough for the cravings to go far, far away. Best of luck. We all wish we could remain healthy and lean without giving up anything — I’d live on Guinness and pizza if I could — but sadly, something has to go. The original WW plan had RULES. NO added sugar. NO potatoes. NO added fat. NO fried food. You HAD to eat three times per day. You were required to eat breakfast (1 protein exchange [1 egg, 1 oz. cheese, 2 oz. fish] 1 slice of bread or equivalent, 1 fruit). Lunch was 4 oz. of protein, 1 slice of bread or equivalent; dinner was 6 oz. of protein, 4 oz. of a starchier vegetable, such as peas, beets, acorn squash, or tomatoes–this was not optional. You could not save your bread for dinner. You could supplement your meals with unlimited quantities of nonstarchy vegetables. You had to eat 5 fish meals, 3 beef meals, and 1 liver meal/week. Three fruits/day, no bananas, cherries, grapes, or watermelon (considered to be too high in sugar). You had to consume 2 servings of nonfat milk/day. After a few years, the plan was modified to include 1 T./day of oil, butter, mayo, margarine, etc., so you could put a teaspoon of oil on your salad or a pat of butter on your evening veggies. My grandmother and aunt lost 50+ lbs. in 3-4 months on this plan and my grandmother said that she had a difficult time eating all of the food required. Take out the bread and add fat and it’s practically Paleo. Then the “Pasta is low-fat” crazies got into the driver’s seat. Points. Eat what YOU want. And suddenly the WW program was low fat AND high carb. BTW, men had to eat more protein, 6 oz. and 8 oz. for lunch/dinner, and were permitted two slices of bread at lunch. And they were allowed 5 fruits/day. I once estimated that with the fruit/bread/milk, the carb count was between 100-150 day. Now it makes sense how they build their reputation. Lots of protein and vegetables, a limit of around 150 carbs, that’s actually not a bad diet. Too bad they changed. Hey, Jan, nice post up! Good luck! Try the Eade’s new “6 Week Cure”, and consider repeating weeks as needed to kick start. I think Tom has a few “6 Week Cure” posts on Fat Head Movie Blog. Then go to straight up “Protein Power” recommendations. Do “6 Week Cure” precisely as written up, and you’ll be far ahead of your WW classmates at that 6 week point. You’ll be shocked, so will they if you bother to go back in to WW to gloat. Really brilliant post! Funny yet informative! I think you’re right that people and animals eat to fill protein requirements. On a very low protein diet, the body will start to conserve protein more, but I doubt that would completely take away the protein hunger. Maybe WW should offer a “WW classic” version, like their original plan. Seems to me it would be in their best interest since they could capture more of the market (some people really like prepackaged meals). Good idea, but they might see it as admitting they’re wrong now. I have a serious problem with carb cravings no matter whether I am eating low carb or not (but I notice them more when I am on low carb). Lierre Keith talked about this a bit in The Vegetarian Myth. She said there were 3 reasons that people crave carbs, 2 of which have to do with blood sugar and exhaustion. The third one was tryptophan – that if you are tryptophan deficient, then the only time any decent amount gets in your brain is when your insulin is up, because insulin sweeps out all competing substances and your brain can finally start making some serotonin (from the tryptophan) and feel “normal” again. This seemed like a pretty good explanation for me, because even eating something sweet without sugar would help the carb cravings for a little while (insulin levels will often go up when you eat something sweet, whether or not it had a lot of carbs). And here’s another website that is low-carb, real foods friendly – they have some interesting information on neurotransmitter deficiencies and carb cravings. I’ve heard Julia Ross interviewed. Very interesting stuff. Here’s a funny Weight Watchers story. My friend just joined and she told me that in order to get in all of her “points” she has to cheat. So she purposefully eats junk food to stay on Weight Watchers. It’ll be interesting to see what kind of results she gets. Well said. I tried a bunch of those, and all they did was ramp up my appetite. One of your funniest…….and best lines…..
As I always tell people: If you lose your sense of humor, the idiots win. The diet came from the New York City Department of Health Obesity Clinic. My grandmother had a phone run-in with the woman who is the spokesperson now, Florine Mark. Grandma had a question about dry, unsweetened cocoa; how would a person count it, or how much could a person have, etc., and FM absolutely cut her off and said she couldn’t have any, it was not permitted. Well, Grandma proclaimed her ignorant and used it anyway in a pudding made with nonfat powdered milk, sweetener, and unflavored Knox gelatin:-). Looks like they stared to go downhill just about the time Heinz bought them. That was also around the time the lowfat diet became all the rage, which was convenient for Heinz. Re: Angel’s post — I’ve always wanted the usual paleo blogroll suspects to comment on the tryptophan/insulin theory (if someone has, I missed it!). I have not the scientific brainpower or resources to try and dissect its soundness myself. I’ve always been curious if low-carb approaches can somehow reconcile with that “a potato or high starch a night can help your depression” theory. I haven’t looked into that one. I don’t feel good when I eat starches, but that’s me. My mother lost over 100 pounds on Weight Watchers about 30 years ago, and it made her a life-long proponent of having a low-fat lifestyle. I’m just realizing how unhealthy a low-fat diet is, after spending all of my life stuck in that rut and not feeling well. My mom doesn’t have health problems, at least none that I am aware of, so I am having some mental trouble with my new low-carb life. I wonder if people can be one or the other? There are different metabolic types. Some folks can lose weight and feel fine on a low-fat diet, but I believe they’re a small minority. I went with my mom to weightwatchers starting at almost 11 years old – they had the “fat & fiber” plan then – all you counted were grams of fat and fiber. It was a humiliating experience, and in hindsight only made my problems worse (PCOS/hormone imbalance). I was constantly on diets – and have re-joined WW a total of 4 TIMES!!! They keep changing their plans – makes you wonder if WW really worked, then why do they do that? LOL. When you start that young, your whole life of eating is a vicious cycle – do “everything right”, not see any results and eventually “fail” and give up, gaining more weight before starting your next diet. I’ve lost almost 30 pounds in just a few months with low carb! My skin is clear, my depression is much improved, and I have energy! And PS – I don’t weigh or measure food or count calories – I just eat it. Here’s something I’ve heard more than once from people I know: “Well, I think I’ll join Weight Watchers again.” Again? Why, if it didn’t work the first time? Katy’s first comment mentioned a 6-oz meat portion for dinner. Could you imagine the vitriol that would spew forth from anyone well initiated in conventional wisdom at the mere suggestion that a meat portion be LARGER THAN YOUR PALM??? Shudder to think. I do know one person who has done a reasonably good job keeping the weight off with WW. Two caveats. She only lost 20 pounds, and she is still obsessed with cards and numbers, five years later. It’s really depressing – no way to live. She does mix it with some intermittent fasting now, since she finds it easier to eat 35 “points” if she only eats one or two meals/day. That’s why I wouldn’t do a program like Weight Watchers. I don’t want to go through life carefully limiting my points and probably going hungry much of the time. I find it easier to avoid the foods I know aren’t good for me, then just eat until I’m full. Glad to see your mention of the article by Dr Doug McGuff, Tom. Just stumbled upon him recently via an interview by Jimmy Moore. His strength training methods are really helping me become more physically fit, which neatly complements low carb paleo helping me become nutritionally fit. Now if I could just figure out a way for C***s Light to fit into all that, I’d be good to go. Yeah, it’s hard to justify beer as a paleo drink. Too bad there’s no “share on Facebook” link for your post. Many of my coworkers (most all of them on Facebook) do Weight Watchers. And they are all fat. And starving. Oops – just saw the link off to the side. Off to “share”. I forgot it was there myself. Hey Tom, do you have a list or know a site that has a list of foods rich in protein? My friend and I have been running and working out together and I have been doing ok losing weight but he wants to quit losing weight and start gaining muscle. He has restricted his diet to cut sugars and calories but I would like to convince him there is a better way. I’m not aware of any sites specifically dedicated to protein, although there are many with overall nutrition information. Has you friend considered adding whey protein shakes to his diet? Do you try to stay in the 1700 calorie range when you are losing weight on a low-carb diet as well? I seem to remember you tried to stay around 2000 calories in “Fathead”? I’ve been reading “Eat Fat, Lose Fat” by Sally Fallon and Mary Enig and love their concise, easy-to-understand section on fats. They have 2 weight-loss diets, one at 2500 calories and their fast weight loss diet at 2000 calories!! This seems such a high calorie count for weight loss. I was thinking for a woman, it should be less. It’s a bit confusing. I was taking a stab at a figure WW might suggest for a male trying to lose weight. I don’t calories anymore, but I’m not actively trying to lose. If I were, I’d eyeball my food and watch my portion sizes, as opposed to strictly counting calories. Great post Tom. My best friend is a weight watchers girl. But she just can’t stick to it. I tried it for a couple of weeks one time and gained about 6 pounds. And I’m sure your friend probably blames herself. I have John Yudkin’s book ‘This Slimming Business’..
An excellent post, well worth the read, in particular I LOVED the last line. I have ‘done’ Weight Watchers at least 6 times so far in my life, actually you can double that! In my last attempt I lost 61 kilos (135 POUNDS)… That took me 19 months. I attained the ‘Lifetime Membership’ and then………. gained back 35 kilos (77 POUNDS) ! Yep, THAT worked for me.. NOT. I am never going back to Weight Watchers. There must be a better, permanent, non-surgical way. So, I’m going to try upping the protein and dropping the carbs, it seems to work for so many people. That’s what I’ve seen with people who go to Weight Watchers … lose, gain, lose, gain. I guess if you count your points forever, you’d keep the weight down, but it doesn’t strike me as a good way to live. The part about cutting fat from the diet was annoying. What else sounded the alarm for you? “Now on the day when I had the high sugar diet — the diet we should all avoid — my blood sugar stayed the same, which you’d expect from someone without diabetes. But my insulin level was through the roof, my pancreas was working overtime [HELLO!] to try and maintain my blood sugar at that level,” says Andrew. But his system did cope — despite the binge, his blood sugar level stayed normal [this time! ], and that means eating sugar is not a direct cause of diabetes. But if Andrew kept that high-sugar diet up, he could develop insulin resistance and he’d certainly put on weight, which is a major problem. No beta cell burnout from a high-sugar diet? Only fat people develop insulin resistance and type 2 diabetes? No, a few sugar binges won’t give you diabetes, but over time, one Big Gulp at a time, how can it not be a contributing factor? I got ya. I read it right after writing a post, a little bleary-eyed from staring at the screen, and managed to miss a couple of key lines. I spent years and countless $$ in WW for a weight rollercoaster ride. I eventually gave up on trying to lose weight until I was diagnosed with type 2 diabetes. Thank God I found low carb. Week after week, I saw people like me who kept coming, but were making no noticable progress. There were a few that made their goal, but most didn’t and they all seemed obsessed with food. A neighbor down the street became a “life member,” but it seems she has not regained the weight. As they say, insanity is doing the same thing over & over again and expecting different results. I’d like to know what the dropout rate is. I could only find guesses, not hard data. Yup, I’d dump WW and eat a whole food, low-carb diet. And here I was about to sign up for WW *again. * My own history should be my guide. I was a NORMAL weight when I first joined WW at age ~30. Lost ~22 pounds. Gained them back plus about 60 more. Joined again. Lost the 60. Was 11 pounds from my original start weight. Gained back 110 (do you see the pattern here?). And YES, I did (and maybe still do?) blame myself. So I started WW at 174 pounds in 1987-ish. It is now 2010 and I weigh over 290. I really wish I had never ever started WW in the first place, and I feel like in doing so I completely set myself up for type 2 diabetes, which, to the best of my knowledge, does not exist anywhere in my family history. When I went lo-carb for three months, I lost about 30 lbs. I was not hungry at all, and I felt GREAT. Unfortunately, I tend to freak out when I hit certain weights on the way down, and I started sucking up the carbs again. Best of luck. Since going low-carb, I find my weight is remarkably stable, and I never have to be hungry. I can’t believe all of you whiners and Weight Watchers haters! Good grief! Just eat normal foods and normal portions for gods sake. I lost 45 lbs on Weight Watchers, have kept it off and found it really easy to do actually. I realised that I just ate too much before joining and once I learned portion control, it all made sense. Never once did anyone promote eating carbohydrates or telling me I couldn’t eat any fat. That’s just rediculous! I have no idea where you guys are all going, but it all sounds absurd to me and not my experience with Weight Watchers at all! I love the program and now that I am at my goal weight, it is so easy and even though I keep track of what I eat, I eat whatever I want…protein, fat or carb and now naturally eat the right amount for my body and never feel deprived or hungry. Actually during my weight loss I have to say that I never felt hungry either. I never once deprived myself and have continued to eat fats, proteins and carbs & whatever else I feel like and even have a bit of chocolate everyday too! Sorry guys…but I love the program. Just don’t dwell on food and carbs, proteins, fats, whatever…just eat sensibly, move more, don’t deprive yourselves and the weight will come off. Forget all this low carb, high protein crap and just eat a normal diet with lots of variety. Afterall…we all know that variety is the spice of life!!! Glad it’s working for you. But you’re a rarity. Their long-term success rate is dismal. I am a believer in moderation. I am on Dr. Gott’s no sugar, no flour diet. From my understanding , it is a moderate low carb diet. As in, yes to potatoes and no to cookies. I have lost 6 pounds in 3 weeks. I did not count calories at first but I am now. Cutting out bad carbs ( sugar, flour) keeps me from being hungry. I am a vegetarian but eat cheese, milk and eggs. I also eat nuts and meat substitutes. I did WW when I was a teen in the 70’s. The Canada’s food guide back then only suggested 3-5 servings of bread! Now it is 6-7. I lost weight I did not need to lose. Now I have 50 pounds to lose and I am not going anywhere near WW lol. I would rather listen to an actual doctor who seems to know what he is talking about. Moderate carb is what I’d like to see most people adopt. Give up the sugar and the white flour, and we’d go a long way towards solving our obesity and diabetes issues. 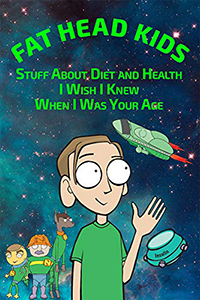 I am really glad I found this site…I just turned 50 and have put on about 20 pounds that I need to shed as well as some inches around the waist and hips. I have been eating nothing except WW Smart Ones with an occasional addition of a side salad with low or no fat dressing or cottage cheese. I have been doing this for about two months…I have lost 3 pounds during this whole time. I feel like I constantly want something to eat. I also stopped smoking January 15th and so I was blaming it on “that oral fixation” that everyone says ex-smokers have but now I’m thinking maybe WW isn’t for me. Here’s another thing, may be related may not…I can eat even a small amount of food, piece of fruit anything and my stomach almost instantly becomes bloated and I am miserable most of the day. How should one start a healthy moderate carb diet? Thanks for the info! While waiting for one of those to arrive, my advice would be to shoot for no more than 50 carbs per day to start, and to base your meals on meats, eggs, seafood, green vegetables, low-sugar fruits (mostly berries), a few nuts, and a bit of full-fat dairy. This will all be a lot easier if you pick up some low-carb cookbooks, too. Two of the best are “1001 Low-Carb Recipes” by Dana Carpender and “Carb Wars” by Judy Barnes Baker. I have tried all sorts of diets over the last 8 years and I constantly take off weight and put it back on. Usually low carb diets. I recently started WW online and I love the program! I can have anything I want in moderation. There is no fixation or cut off from certain food groups. If I am hungry I pick up something to eat the difference is I think about its nutritional value and if its worth the points. You can have all the fruits and veggies you want and lean meats are low in point value! The higher the carbs (that are not loaded in fiber) the higher the point value. If you are true to the program and fill yourself on healthy foods instead of high point value foods that are high in fat/carbs then the science makes sense and you won’t be hungry! Just what I expected! I joined WW in town and paid for 8 weeks (what a meat head I am) and am into my third week and have been famished! Last time I lost weight the healthy way, by eating things like salmon, almonds, peanut butter and veggies ~ a good piece of salmon has 14 points, when the min. you get is 29 points that is most of your meals with one piece of fish?! You are praised for diet drinks (can anybody say aspartame = cancer) and I did purchase the “complete food companion” booklet, $8. (stupid, stupid, stupid) and tried to look something simple as 7-up……not in there, 20 diet sodas I have never heard of but no 7-up. I also joined the YWCA and with working out and the WW plan, a measly 2 pounds gone and I have starved!!!! Screw WW, I’m going back to the healthy weight loss and if asked how I lost it tell the members the truth, I’m sure they will not give me my money back. There are poor souls that have been in there for months on end and are excited for losing 10 pounds, bless their hearts. Do not sign up for WW, it is an unhealthy waste of your money. Eat right and exercise, the old fashion way is still the best. Hi fathead. Loved your movie – watched it on netflix. But i did the fast food diet before you and lost around 10 pounds over the summer. Except it was the summer i graduated from high school 40 years ago. I ate a hamburger (with the bun)nothing else every day at 4pm. Then i went out every night with my friends drinking and partying. I should have made a movie. I went to quite a few parties too (but not like when i was 18). Losing weight over the holidays is an accomplishment. 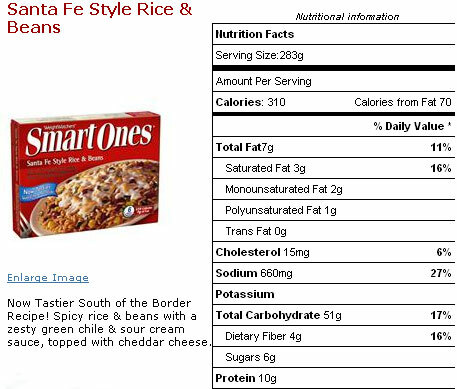 Enjoyed the article and I couldn’t help but notice the 650 mg sodium in one 310 calorie portion of the WW meal. If I hazard a guess that the 650 is average for one WW entree and multiply that by 6 ( to equal 1800 calories), I come up with 3.9 grams of salt. Considering, the average intake should be 2 gr or less, that’s quite a lot of sodium. No wonder the fatties don’t lose weight. I don’t worry about sodium intake at all. I first tried WW online (points plus) last year, and joined up again this year. I find it is a good way to reign the body back in with portion control once I get off track for a long time period. It also re-teaches me how to cook healthy meals and take time to eat more veggies and fruits. However, for me it is NOT for the long term. I actually found this post cause I was out googling the conventional wisdom of WW. I get REALLY annoyed with the point system because it DOES favor low fat, high carb. I also think it works better for very fat people, not people who are only a little overweight like me. If you have a lot of weight to lose, the mere portion control of the points is going to make you lose weight, no matter if you are eating the cardboard box the food comes in. I eat whole foods and occasional pre packed ones though rarely WW foods. Since my latest WW points plus endeavor, I have found it to work for me. But in sticking with what I KNOW works for me and not their ‘conventional wisdom’ I cheat a little. I record my whole milk as 2% milk (a difference of one point) and I halve the points for mayo and things like this where I’m not really indulging. If the calorie difference is small between the whole food and the low-fat version I don’t feel bad cheating in this regard and figure it helps me to get more satiating foods while also controlling my portions in a meaingful way. I just started doing this so can’t say how well it works, I suspect much better for me as I get literally angry when I see how high some points are for things compared to others which I know are bad! I have to say that everyone I’ve known on Weight Watchers has eaten a lot of junk like cereal bars, “cheese” singles, processed soy burgers, and fat-free potato chips day in, day out for months on end. I do know people who have lost weight on it in recent years, but all have regained at least half of it back. Considering the amount of muscle they might have lost, their body fat composition is probably not any better than it was before.